PHOTOS: Guidelines on How to Buy or Purchase the National Examination Council, NECO Result Checker Token, Create an Account, Share Token, Check Results, Print Tokens, View Purchase History and Resolve Payment for Senior Secondary Certificate Examination, SSCE and Basic Education Certificate Examination, BECE. 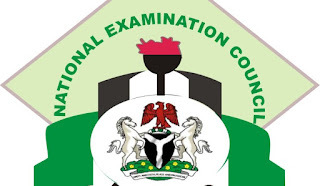 The National Examination Council of Nigeria, NECO has announced the launch of their new portal for registration and result checking of their examination. 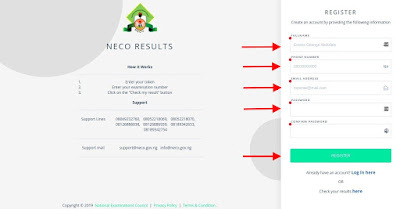 Candidates can now register for their NECO Examinations and check their results online without the use of a scratch card. The scratch card was introduced as a means of registering for exams and also for result checking purposes. Obtaining the scratch card over the years have stirred up certain issues, like the sale of cards at exorbitant prices by unapproved centers; the delay in candidate’s results and many more. With the introduction of this new platform, NECO has ensured strict compliance with TSA as well as protecting Candidates from being extorted when they have to go to a cyber café, to either register for an exam or check their result. This payment option also helps NECO in saving the cost incurred as a result of the production of millions of scratch cards, yearly. 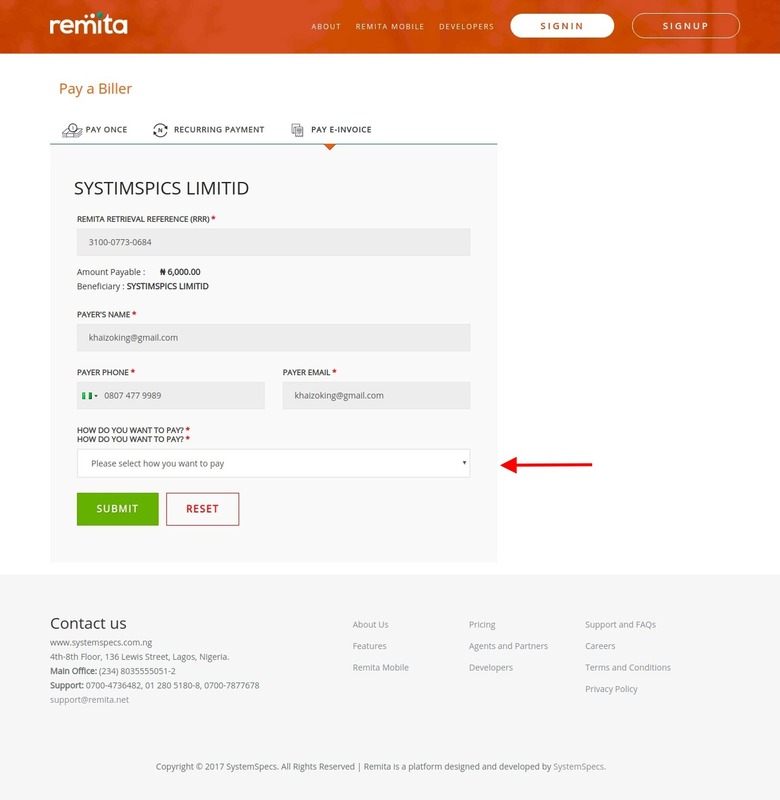 The online payment feature on the website has a number of payment options, including card payment, account transfer online or at the bank premise using the generated Remita Retrieval Reference (RRR). Before you can check your results, you need to create an account. The steps below will guide you through on how to register an account. On the NECO Results page, scroll down and click on the ‘Visit NECO Results’ button. Wait for the NECO Results Application to load. Once you’re there, Click on ‘Register a new account’ to create your new account. Now, Enter your full name, phone number, email address and a secure password. Click the `Register` button. A confirmation link will be sent to the email address you used to register. 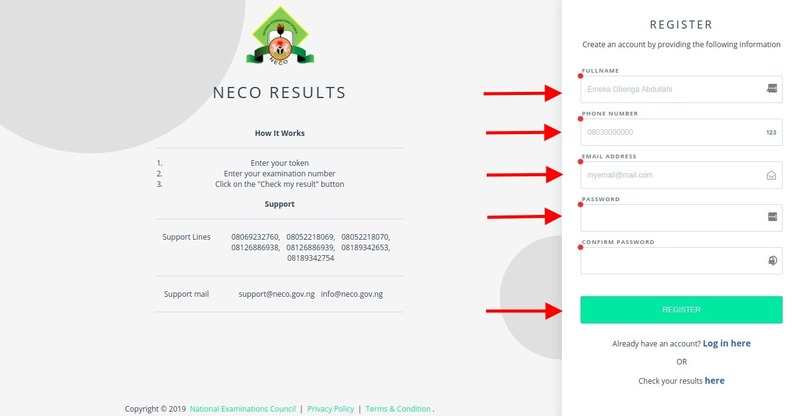 In your email inbox, open the mail from NECO Results and click on the link to verify your account. Once you've created an account the next step is to log-in. Follow the guide below to login to your account. If you've not been able to create an account, follow step one guide above. Enter your secure password and login to access your account and click on Login. A token works like a scratch card, it is used to check results when they are released by NECO. 5. Enter the number of tokens you wish to buy and click on pay now (NB: a token is N500 + N50 service charge). 6. Wait for connection to the payment gateway and enter your card details to purchase the tokens. 7. Once payment is successful, you can see how many tokens were bought. Doing that will take you to you purchased tokens, and they will be listed out on the tab called UNUSED. If your token(s) is not listed under UNUSED it could either be ACTIVE or EXHAUSTED. Clicking on either of these two tabs will show you the tokens which are being used(Active) or tokens which can no longer be used (Exhausted). If you still can't find your token(s) and you made a payment at the Bank or with a card, you can retry the transaction, the guides on STEP 11 will help. There are two ways to checking your result. You login to your account and purchase a token and use your purchased token to check your account. An already purchased token is shared with you and you use that to check your result. You can purchase a token by login to your account and clicking on the purchase token button. Select your Exam Year and Type. N.B: One token can be used a maximum of 5 times. After this limit, you will need to purchase a new token to view results again. See Photos on How to Check NECO November/December Results. Scroll down and click on the ‘Visit NECO Results’ button. Click on ‘Check Result’ button and your result will be printed out. You can share your purchased token with a friend or a family member, so they can view your results. Scroll down and click on the ‘Visit NECO Results’ button. You'll be navigated to the NECO results app page. Once you’ve purchased a token, click on view token button. Alternatively, from the dashboard click on the tokens button. Click on the 'Unlinked Tab’ then click on 'Share' and choose your preferred method to share your token. After purchasing the a token to check your result, you can also share it by printing it out. First login to your account and purchase a token, you can learn more on purchasing a token from STEP 3 above. If you've previously purchased a token go to STEP 5. Click on MY TOKENS on the side menu or TOKENS on your dashboard. Your tokens will be listed out on a new page, click the PRINT button again, select your printer and print your tokens. You may navigate between Active or Linked tokens, Unlinked tokens or Used tokens . On your dashboard, click on the Transactions button. While purchasing a token, if you chose Bank Branch payment and are still unable to view your tokens, use the steps below to retry your transaction. If it was successful, your transaction will be approved otherwise it will fail. 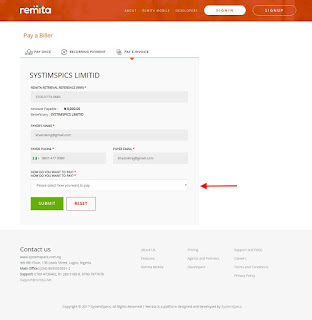 On your dashboard, click on the TRANSACTIONS button or on the side menu. All previous transactions will be listed out. Payment status will be loaded, Click RETRY to attempt the Transaction again. Once payment is confirmed, transaction will be approved, you can view your tokens in MY TOKENS.